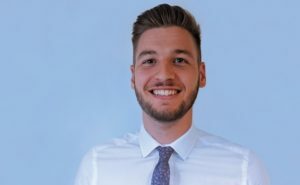 We are proud to announce that Max Jones, one of BHIB’s Corporate Claims Handlers has been recognised in an interview with the Insurance Post as a ‘Rising Star’ in the insurance industry. In the interview, Max d iscussed how he entered the industry and began his insurance apprenticeship when he finished his A-Levels. He was unsure on the industry he wanted to work in when coming out of school so after some research, he found the Brokerbility Academy, our in-house Academy which offers positions at our Brokerbility member’s insurance brokerages across the UK. Developed in 2013, we founded the ‘Brokerbility Academy’ to focus on a careers program that offered the opportunity for people at different stages of their careers to develop their professions in the insurance industry. The Brokerbility Academy has been considered a ‘genuine alternative to university’. To date, we have had 85 people who have joined a Brokerbility company via the Academy’s training programme. Max said that the Academy schemes really appealed to him, and after some thought realised that this was the route he wanted to take. The application process consisted of a series of interviews and tests. Max was one of the few to be selected among 600 applicants. Max advises newcomers that getting their qualifications as early as possible is key. Not only does it add value to the company you are working for, but it also adds value to your personal development and your career path. Looking back over Max’s achievements, he is most proud of getting his Cert CII certification in such a short space of time. However, this will soon be succeeded once he completes his diploma. On a daily basis, Max gets a sense of achievement helping clients through their claims as it is the point that they need help the most. He is now using his expertise to help to develop some new innovations in Claims for the company. Max has mentioned how his views of the insurance industry have changed since working at BHIB. Before working here, he thought insurance was seen as an annual burden to keep his car on the road. Now, Max has a wide and in-depth understanding of the sector and he has mentioned the importance of insurance in everyday life. Congratulations Max! This is a great achievement and we are looking forward to you developing your career with us at BHIB Insurance.